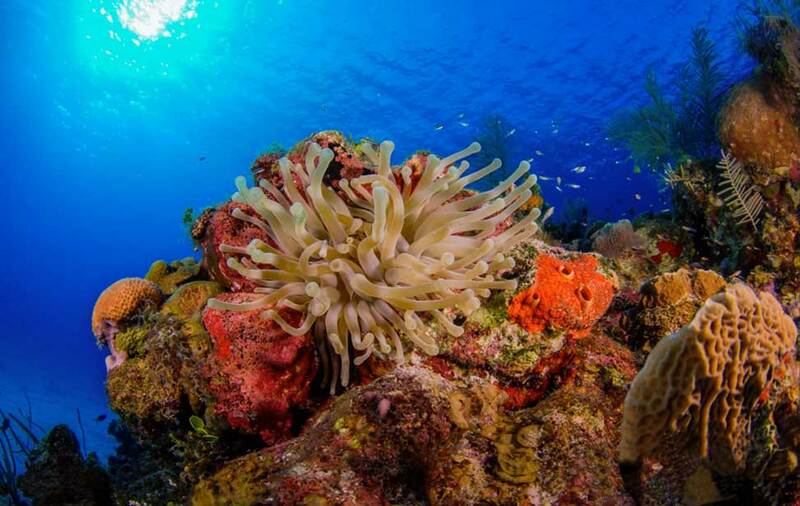 The Cayman Islands' three world-class dive destinations have attracted scuba divers since scuba diving was invented. Known for amazing wall dives, beautiful coral reefs and visibility that often seems infinite, the Cayman Islands offer some of the best scuba diving in the Caribbean. Of the three islands, Grand Cayman is the most visited by scuba divers. Grand Cayman’s North Wall plunges deeper than 1800 metres/6000 feet and offers beautiful wall diving with opportunities to see spotted eagle rays and sea turtles. Grand Cayman also offers accessible shore diving on great coral reefs with little to no current. Little Cayman has the Bloody Bay Wall Marine Park, famed for its vibrant colors and dramatic drop offs and swim throughs. Cayman Brac offers a good mix of wall, wreck and reef diving for all experience levels. From 5-star hotels on Grand Cayman to quaint dive lodges on Little Cayman, the islands provide holiday options for everyone and hundreds of dive sites to explore. Kittiwake, Grand Cayman - This purpose-sunk wreck sits on a sandy bottom in 17 metres/55 feet of water. This amazing artificial reef is a popular, much photographed dive site. Experienced divers can explore its interior rooms, while new divers and snorkelers can explore the exterior. Stingray City, Grand Cayman - On this shallow dive on a sandy bottom, hordes of southern stingrays surround you as they glide past hoping for a feed from a friendly divemaster. You’ve probably seen many photos and television documentaries featuring this famous site. Babylon, Grand Cayman - A large pinnacle with a canyon dissecting the North Wall, this site starts at 12 metres/40 feet and cascades down to plate coral stands deeper than 30 metres/100 feet. Abundant rope sponges line the wall with a few black coral bushes. Devil’s Grotto and Eden Rock, Grand Cayman - An easy shore dive, this site features some fantastic coral formations, overhangs and swim-throughs. Vast schools of tiny silversides are common here and attract massive tarpon in addition to divers. The dramatic underwater topography and abundant life make this site very popular with underwater photographers. Bloody Bay Wall East and West, Little Cayman - This part of the wall starts at about 8 metres/25 feet and drops into the deep blue. Look for large orange elephant ear sponges, black corals and wire corals along the sheer drop-off. You might see the occasional seahorse. Three Fathom Wall or Mixing Bowl, Little Cayman - Starting at 6 metres/20 feet, then plunging vertically far deeper than you can go, this wall dive is a thrilling adventure as you glide over blue water. This is where Jackson’s Bight, with rugged coral fingers, meets the Bloody Bay Wall. Admire the purple, red, yellow and orange sponges and schools of fish in the shallows. Captain Keith Tibbetts, Cayman Brac - Purposely sunk in 1996, this 100-metre/330-foot Russian frigate houses a variety of marine life and colorful sponges. Follow the radar tower down, swim along the rails and past the bow guns of this once proud warship. Wilderness Wall, Cayman Brac - On the south side of Cayman Brac, this dramatic, plunging drop-off has an abundance of healthy corals, sponges and lots of marine life. Canyons and crevices cut through the wall and a large pinnacle rises away from it. You may see large pelagics cruise the corridor between the wall and pinnacle. Want to know more? Visit ScubaEarth® for further information on thousands of dive sites, marine species, destination essentials and more. Visibility - Usually great, most often you can see 18-30 metres/60-100 feet or more. Water Temperature - The average water temperature is 26-28°C/78-82°F year-round. Weather - Diving is good all year. Cayman has mild air temperatures of 21-27°C/70-80°F year-round and a little more rain during the summer months. June through October is hurricane season in the Caribbean. Featured Creatures - With a turtle farm on Grand Cayman, you can expect to see turtles on just about every dive. You’re also likely to see eagle rays, barracuda, moray eels and, of course, stingrays. You’ll also spot lots of tropical fish such as sergeant majors, parrotfish, damselfish, grunts, butterfly fish, angelfish and yellowtail snappers. Recommended Training - Take the PADI Peak Performance Buoyancy and PADI Deep Diver courses to help you hover effortlessly along the many Cayman walls. The PADI Digital Underwater Photographercourse is a must to capture the beauty of the place. Cayman is also a technical diving destination, so look into PADI TecRec courses, including the PADI Rebreather Diver course, if interested. Language - English is the official language. Currency - The official currency is the Cayman Islands Dollar (KYD). Credit cards are widely accepted. Major Airports - Owen Roberts International Airport, the main international hub, is located on Grand Cayman. Cayman Brac receives international flights at Charles Kirkconnell Airport. Little Cayman is served by daily interisland flights. Electricity and Internet - Electricity on the Cayman Islands is 110 volt, 60Hz. Internet is widely available. Topside Attractions - The Turtle Farm on the northwest tip of Grand Cayman is a great place to see hundreds of green sea turtles. “Hell” is a group of short, black, limestone formations northwest of West Bay on Grand Cayman. Hiking, bird watching and climbing the bluff are popular activities on Cayman Brac. The Booby Pond Nature Reserve on Little Cayman provides a habitat for red-footed boobies and other shore birds, and a high diversity of native plants.